Shares of European banks and basic materials companies rose Thursday, boosted by U.S. bank stress tests and a weaker U.S. dollar respectively, but key regional benchmarks failed to follow them higher. The Stoxx Europe 600 SXXP, -0.29% slipped 0.1% to 385.31, giving up a gain of 0.5% at the open of trading. The financial and basic materials were the best performing sectors, but the utility, industrials, consumer goods and services, and health care groups struggled. Pressure was coming from so-called peripheral markets. Italy’s FTSE MIB Index I945, -0.47% was down 0.3% at 20,994.65, and Spain’s IBEX 35 IBEX, -0.39% was off 0.2% at 10,684.30. In Paris, the CAC 40 index PX1, -0.62% was losing steam, flipping down 0.2% to 5,244.16. Decliners on the French benchmark included construction heavyweight Vinci SA DG, -2.42% and conglomerate Bouygues SA EN, -1.96% , as their shares lost 1.9% and 1.3%, respectively. In Frankfurt, the export-heavy DAX 30 DAX, -0.16% trimmed its gain to 0.1% at 12,662.13, with investors watching a leap in the euro EURUSD, +0.2988% above $1.14. The shared currency is trading at its highest in more than a year. A stronger euro can hurt sales of goods by European exporters as it makes the products more expensive for international buyers. In London, the FTSE 100 UKX, +0.31% was up 0.6% at 7,430.01 even as the pound GBPUSD, +0.2321% approached $1.30 against the dollar. Miners: Gains for miners helped the London benchmark and the Stoxx Europe 600 Basic Resources index SXPP, +1.02% , which rose 1.2%. Those moves came as copper HGU7, +0.64% and other metals priced in dollar terms rose alongside a decline in the U.S. dollar DXY, -0.23%. Copper miner Antofagasta PLC ANTO, +1.84% tacked on 1.8% and Glencore PLC GLEN, +2.34% rose 2.4%. On the industrial metals side, ArcelorMittal MT, +0.58% advanced 1.1%, and Norsk Hydro ASA NHY, +1.25% picked up 1%. The dollar dropped against both the pound GBPUSD, +0.2321% and the euro as those currencies were being repriced on comments from the heads of the Bank of England and the European Central Bank this week. 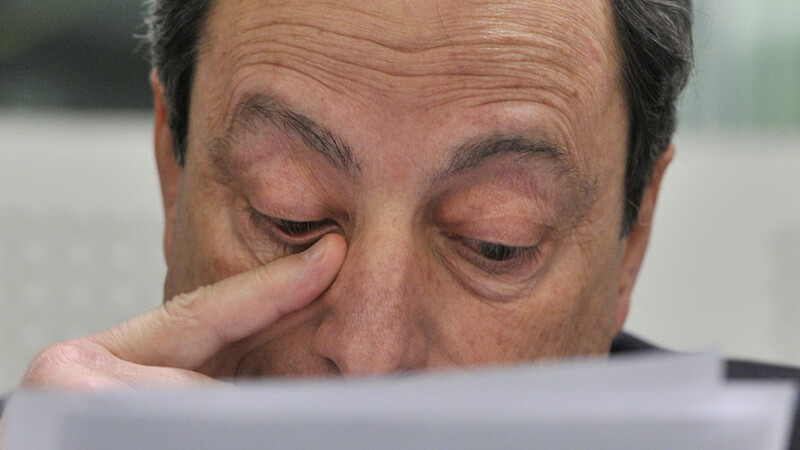 “Some ECB officials said that President Draghi’s speech has been misinterpreted by the markets. Indeed, Mario Draghi has never mentioned any form of ECB stimulus unwind in his speech on Tuesday to trigger decent purchases in euro. Yet, Draghi’s refusal to comment kept the euro-bulls on the field,” wrote Ipek Ozkardeskaya, senior market analyst at London Capital Group. “The truth is the euro’s positive momentum was also and perhaps mainly due to the U.S. dollar depreciation, and the stop rally above the solid 1.13 resistance. For the moment, the softer [Federal Reserve] is enough to drive the euro higher against the U.S. dollar,” she said. The euro EURUSD, +0.2988% traded at $1.1424, up from $1.1379 late Wednesday in New York. Banks: The Stoxx Europe 600 Banks index FX7, +1.40% leapt 1.5%. The sector was lifted after the Federal Reserve on Wednesday said stress tests have determined the country’s biggest banks have “strong” levels of capital and would be able to keep lending even during a severe recession. See:Fed stress tests show banks could withstand a deep downturn. In the banking group, shares of Deutsche Bank AG DBK, +2.13% climbed 2.2%, Societe Generale GLE, +1.68% picked up 1.4%, and Barclays PLC BARC, +1.70% rose 1.5%. HSBC Holdings PLC HSBA, +4.12% was up 4.8%, benefitting also from a Morgan Stanley upgrade. Stock movers: H&M AB HMB, +1.27% advanced 1.3% after the Swedish apparel retailer posted a bigger-than-expected 10% rise in second-quarter profit. DS Smith PLC SMDS, +5.63% shares jumped 6.7% after the packaging company struck a deal to buy U.S. packaging and paper producer Indevco Management Resources Inc. for $920 million. DS Smith also posted a 31% rise in fiscal 2017 pretax profit. Economic docket: An initial reading of German inflation in June will be released at 1 p.m. London time. German consumer confidence is set to continue its upward move in July, reflecting Germans’ positive view of the economy and of their own finances, GfK market research group’s monthly survey showed on Thursday.